Today I decided to check out Southern Tier Thick Mint Imperial Stout. 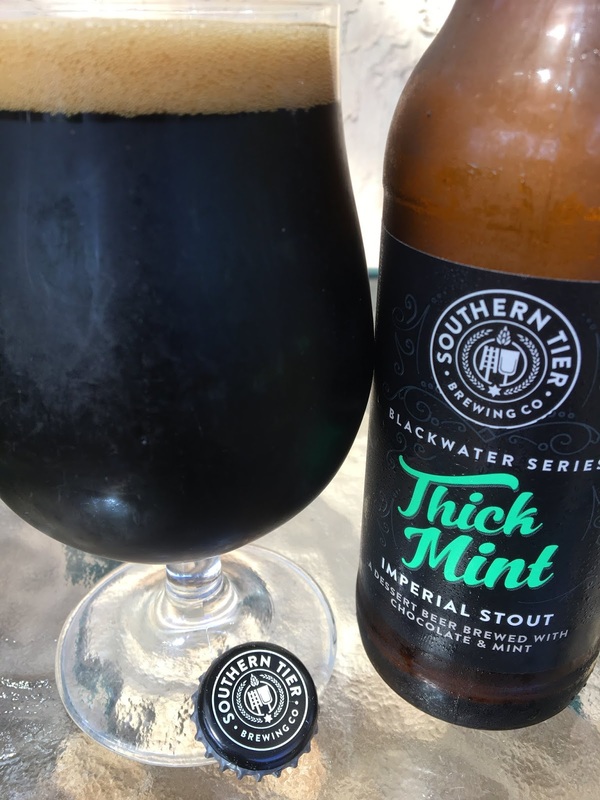 This is a Blackwater Series Dessert Beer aiming to mimic the Girl Scout's Thin Mint Cookies. Let's see. 10.0% alcohol (20 Proof). Chocolaty aroma with a clean minty backdrop. 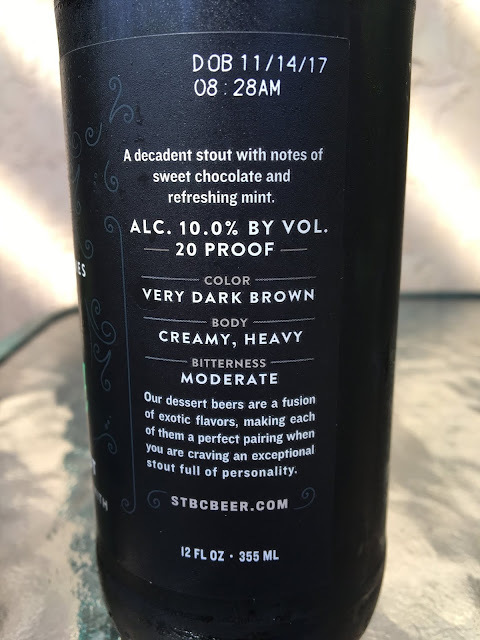 Rich, creamy, chocolaty flavors first, not overly sweet. Then comes a super interesting minty wave, can I say peppermint patty? That lightly cooling minty sensation against the boozy heating works well. Mint is not a nuance, bold yet not annoying, a cool play on a favorite cookie. Nice beer!